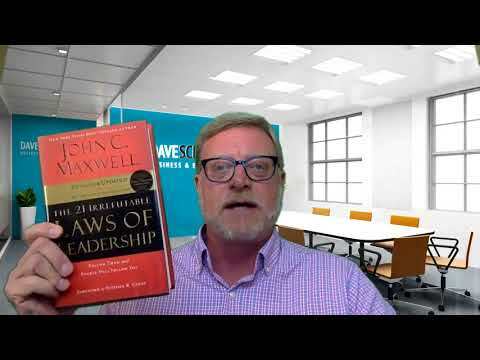 Maxwell, an expert author and speaker in the field of leadership, concludes his book The 21 Irrefutable Laws of Leadership with exactly this concept: the Law of the Legacy. As Maxwell says, “a leader’s lasting value is measured by succession.” Here’s why what you leave behind is just as important as what you accomplish in your business. As much as we try to avoid thinking about it, our time on earth is limited. When you’re gone, how will people remember you? At your funeral, people shouldn’t have to guess about the kind of life you lead or the legacy you left behind—what you stood for should be obvious from your actions in life. This applies to owning a business, as well: when you leave the company, your employees will have to carry on in your stead. As mentioned in the Law of the Picture, you should become the kind of leader you want your employees to be. By training your people well, you’re ensuring that your legacy lives on after you leave. The natural progression of leadership, according to Maxwell, is as follows: achievement comes when you do great things by yourself, success comes when you empower your employees to do great things for you, significance comes from developing leaders to do great things with you, and legacy comes when you put leaders in a position to do great things without you. Regarding the Law of Legacy, John Maxwell writes, “A leader’s lasting value is measured by succession.” The accurate measure of your legacy lies in how well you influence the people you leave behind. Your aim should always be to leave an intentional impact on future generations of leaders at your company. So how do you make sure that you’re utilizing the Law of the Legacy to your advantage? Maxwell provides some key action points. First off, you need to decide what kind of legacy you want to leave behind. What do you feel is your purpose in life? What difference do you want to make in the world while you’re here? How can you impact future generations to carry out that life purpose after you’re gone? Once you’re clear on your purpose, you need to make sure you’re a living example of the legacy you want to leave Good intentions are one thing, but if you never actually live out your values, they’re not doing you much good. You might need to change specific behaviors to make the Law of the Legacy work for you. An ongoing process to work on throughout your career. Finally, think about your team. Who can help carry your mission forward after you’re no longer leading the company? Invest in these people and be sure they’re clear on your mission, too. The impact you have on these future leaders will be the crux of your legacy for years to come. It might be disheartening to think about a time when you’re no longer involved in your company for whatever reason, but the Law of the Legacy ensures that your vision will always remain. If you want to talk about making the Law of the Legacy work for you, fill out my contact form and let’s talk.